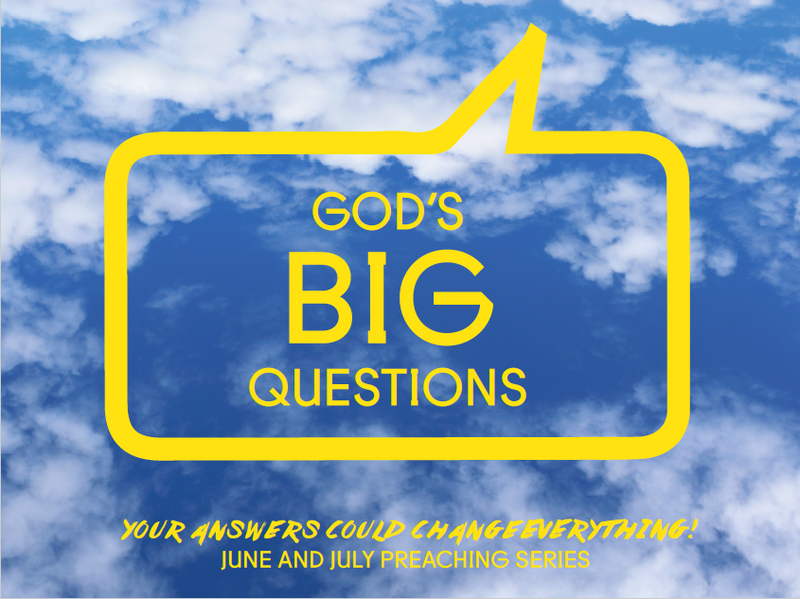 God’s got some BIG questions to ask us…and our answers could change everything! We all have questions we want to ask God: Why? When? Where? Who? – and these are all valid and important questions on our life’s journey. But God also has some big questions to ask us too, and the answers we give could change everything for us… In fact, we often also find the answers to our own questions as we answer the questions God asks us. Also, during the series you will also have the opportunity to ask God your own big questions. You’ll have the chance to register your questions in the services on Sunday 14 & 21 June, and we’ll seek to answer the most common ones over Sundays 28 June and 19 July. Church in Hyde Park this Sunday!